We love our shmups at SEGADriven and we’ve recently been playing quite a few on the Mega Drive. For today’s review we’ve decided to take a look at World War II-themed shooter Fire Mustang, a game that never made it out of Japan. 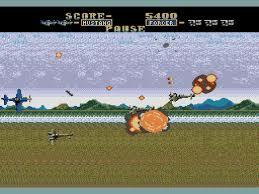 Click here to read our full review of Fire Mustang for the SEGA Mega Drive.